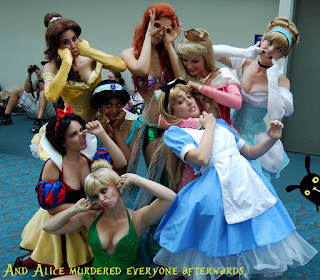 Saturday Morning Arcade LIVE - "S2E4: The Princess Brawl"
Somethings never change, as the gang from "Saturday Morning Arcade" pit their favourite princesses against one another whilst pitching a Disney princess fighting game! Other things are also discussed. In this episode of SMA, we pitch video games based on Fighting Princesses, A Ghostly Rocket Launcher and Fratastic Adventures. Our second half has us discussing Dead Island, Mouse Controls, Deus Ex, Final Fantasy XII, Assassin's Creed Brotherhood, Assassin's Creed Revelations Multiplayer Beta and Barrel of Monkey arms. You can pick your princesses with us HERE. Want to experience the shenanigans live? Make sure to join us every Saturday night, 9pm est over at CFREradio.com and we'll give you high fives over the air.